We are getting your staff up to speed! Our mission has always been to teach coffee knowledge on the highest level. 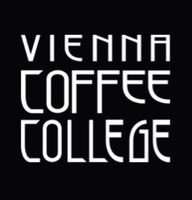 The Vienna Coffee College stands for mastery in theoretical as well as practical aspects of modern barista culture. Let us take your employees to the next level by teaching knowledge about best coffee qualities and the knowledge of perfect coffee preparation. We offer: Our free hotel-check! This is how we work: We start by visiting your hotel / coffee bar / restaurant and doing an anonymous free taste test by one of your experts of the Vienna Coffee College. On the basis of this test we then work together with you on a tailored educational course for your employees which includes modules of the core areas stated below. Duration: You can book a half day or full day course depending on your choice and needs. a sightseeing marathon or an endless business meeting. long hotel corridors and that unforgettable moment; collapsing on a bed with tightly stretched sheets. And of course for the comforting cup of coffee at the hotel bar. The inspirational calmness and precision, even under stress, when first-class specialists know what they are doing. With secure hand movements and self-assured elegance. In this case: the completing of a perfect cup of coffee. the humming of the machine and the fine hissing of the milk frother.